Let me explain. I work hard to pour organics into my beds. I think that means they are rich in nitrogen and alkaline. Citrus like an acidic soil - let's say 6. My bed is around 7.6. Probably even too high for the fig which likes 7.0. Sulphur is about to become my best friend! Grow long and may your fruit and vege prosper. Poor quality "soil" is never worthwhile in the long run. Soil is all important. What's Lissa's vinegar Darren? My pot of weed tea perhaps? Finally got a new bubbler coming for that. I'm find that even in my raised beds. It's just not worth saving money by using crap soil. Hey Dave - the urine and ash answer is the perfect boy game - you get to light a fire and then pee on it. How good is that??!!!! In a btw - if you need to add calcium and lots of the plants we love are big calcium users - use Gypsum. It is cheap and effective; I do not know an alternative except for the much dearer dried milk powder. My pH conundrum is the root veg -- carrots, some radishes like Watermelon, beetroot and turnips. Thus my interest in wood ash for sandy soils. I've used lime broadly a few time (on the off chance) but it seems such an inefficient intervention, esp with mulch all about. You really do need naked soil. Bonfires are fun...and the ash will go into a sort of solution in a watering can, after a few stirs, and the ash permeates the mulch. Adding ash doesn't suit all soils but it is a good option for sandy ones like mine. So I've been sowing carrots and the like and thereafter dribbling ash mix to top the seedling line. -- so if you were yankering for self sufficiency, burning Guy Fawkes and peeing is the way to go. The advantage with both is you always have a supply to order without blowing out your Bunnings budget. Just an aside relative to our past discussion: you really need a strict routine to run a urine cycle., otherwise the smell will waft, and you are confronted with the question (to which you don't want to answer), "What's that smell?" Urine pH values: In a pH balanced body. urine is slightly acid in the morning, (pH = 6.5 - 7.0) generally becoming more alkaline (pH = 7.5 - 8.0) by evening in healthy people primarily because no food or beverages are consumed while sleeping. So sharing your urine neat or diluted is a management tool. On a more general note, I gather it takes some time for alkalisers to impact on soil pH. And in line with my earlier comment,their general uses presumes broadacre application prior to planting crops. In the suburban garden that's a bit of a challenge unless you follow variations of monocultural plantings -- tweaking alkalinity metre by metre. The problem is, I'd guess, the molecules produced have to merge with the soil itself and adhere to the granules to re-engineer the pH. The approach of the FoodWeb folks , on the other hand, is to make the biota do that for you. So you don't read your soil by dint of pH but by its inhabitants. The correct ratio of fungi to bacteria is present, and that the ratio of predator to prey is present ensuring soil pH, soil structure, and nutrient cycling occur at the correct rates producing the right forms of nutrients the plant requires. I'd guess that in Andrew's example maybe the soil occupancy was suggestive of stress. Earthworms prefer a pH of 4.1 to 6.7 I gather. So if your garden bed pH is far too acid or far too alkaline you will tend to have strange bedfellows or none. But then it could be a lot worse, we could live in Perth! Collect 1 cup of soil from different parts of your garden and put 2 spoonfuls into separate containers. Add 1/2 cup of vinegar to the soil. If it fizzes, you have alkaline soil, with a pH between 7 and 8. If it doesn’t fizz after doing the vinegar test, then add distilled water to the other container until 2 teaspoons of soil is muddy. Add 1/2 cup baking soda. 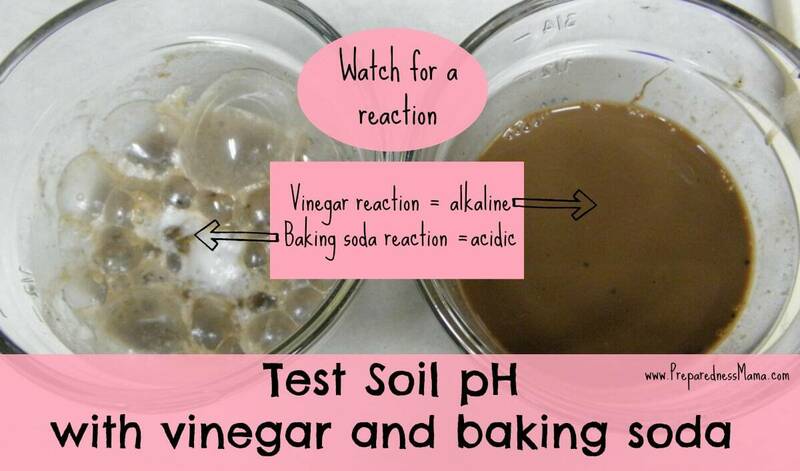 If it fizzes you have acidic soil, most likely with a pH between 5 and 6. I am the original lazy gardener :) but we should all have some idea about the PH value of our growing medium.